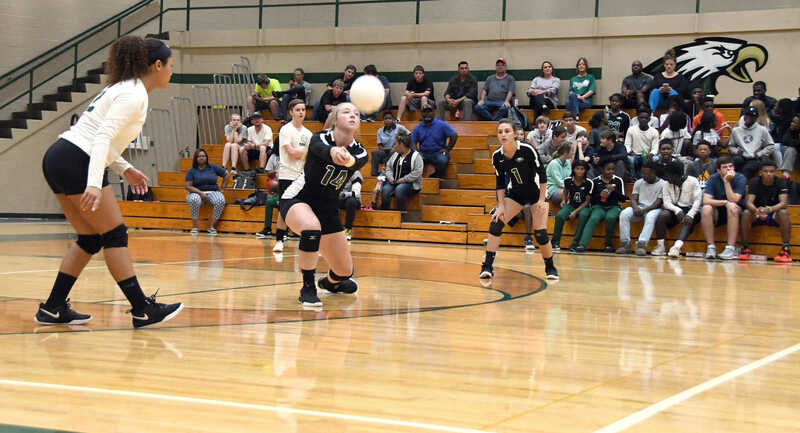 It was two close matches by county rivals with the Portageville High School Bulldogs coming up the winners. The first match score was 24-26 and the second match 25-20 to defeat the Central Eagles. New Madrid County Central High School's Jimmya Caldwell-Newsom (3) sends the ball over the net during the team's game against rival Portageville on Tuesday, Sept. 25, at NMCC. 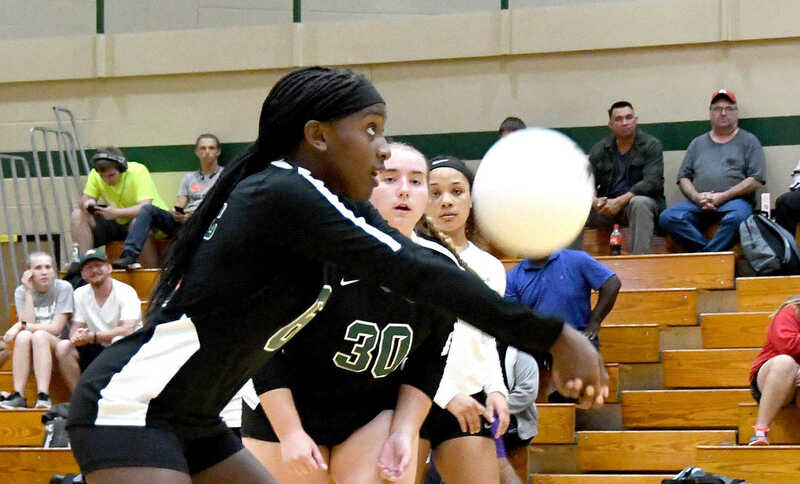 Despit Caldwell-Newsom's efforts, the NMCC junior varsity was defeated by the Portageville junior varsity in two sets. Portageville High School's Haylie Hammack returns a serve during a match against New Madrid County Central High School on Tuesday, Sept. 25. 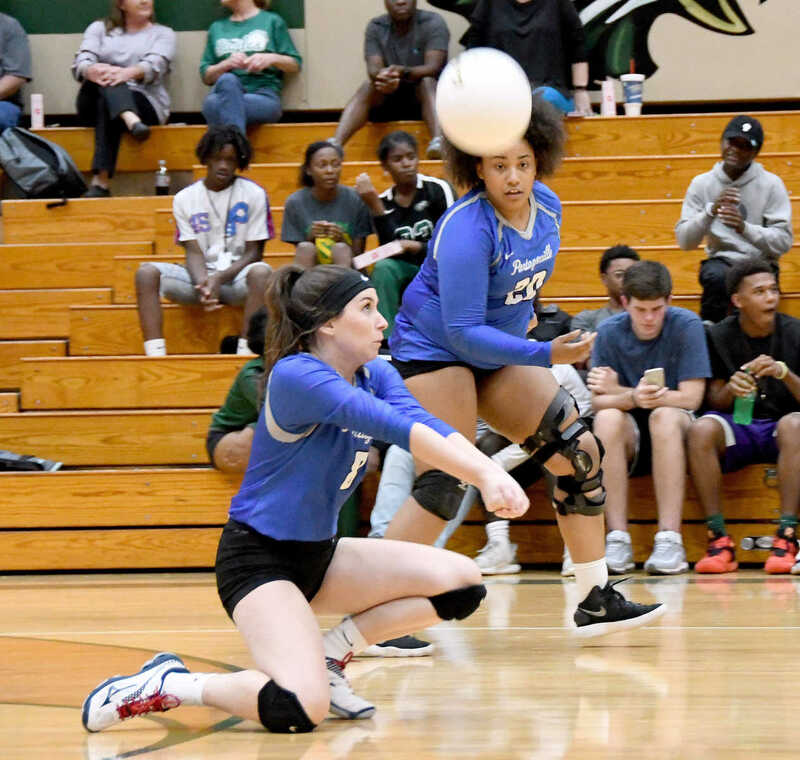 New Madrid County Central High School Eagle Daphny Jones returns the ball during a match Tuesday, Sept. 25, with the Portageville High School Bulldogs. Maggie Frakes, a member of the Portageville High School varsity volleyball team, goes to the floor to return the ball during a match against New Madrid County Central on Tuesday, Sept. 25. New Madrid County Central Eagle's Olivia Nelson bumps the volleyball as her teammates watch during a match against the Portageville Bulldogs on Tuesday, Sept. 25, at NMCC. 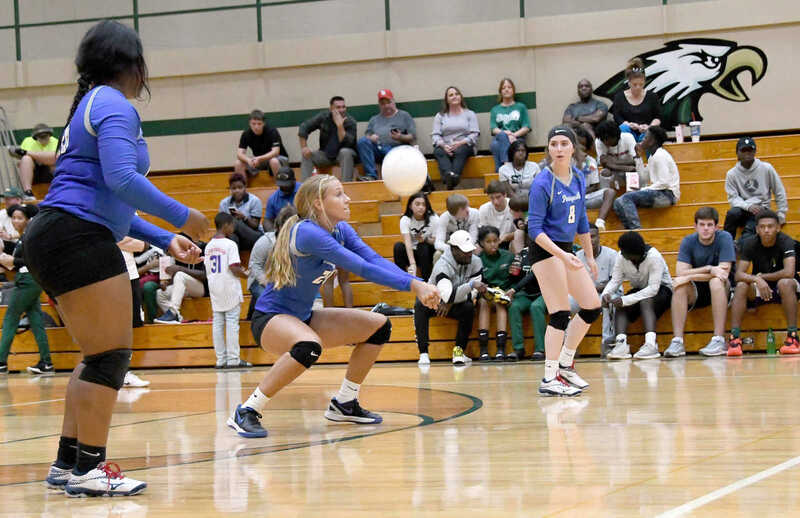 The Eagles fell to the Bulldogs in two matches, 24-26, and 20-25. 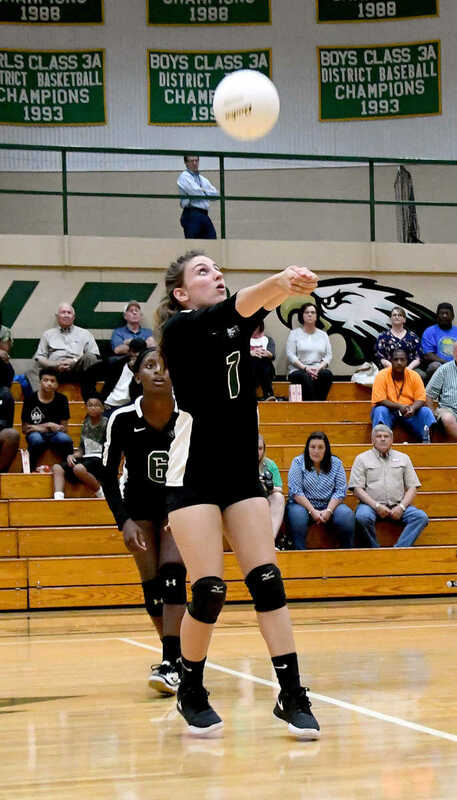 New Madrid County Central Eagle Jenny Duncan prepares to pass the ball during a match with the Portageville High School Bulldogs on Tuesday, Sept. 25. 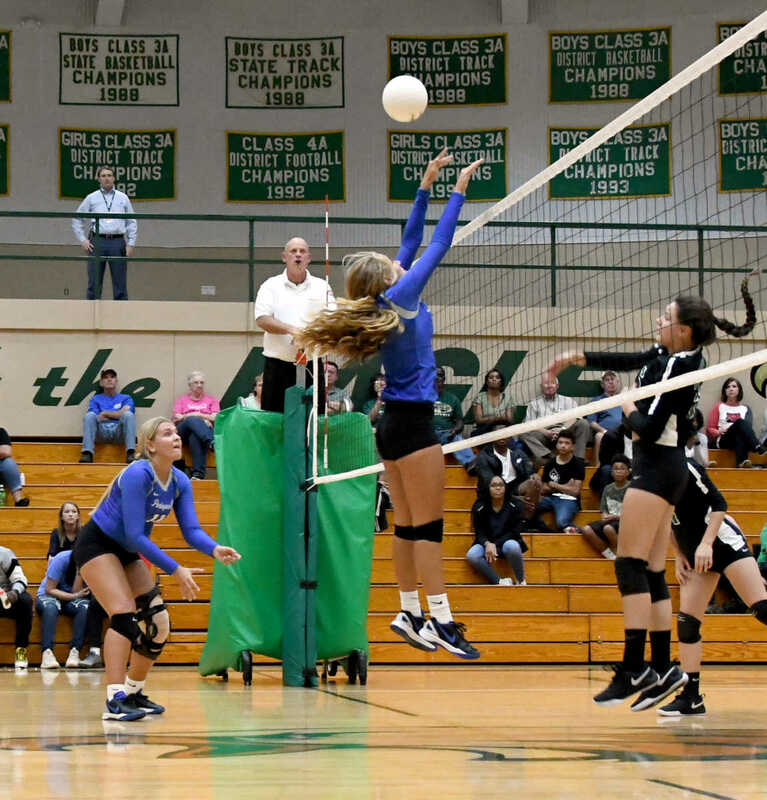 The Eagles fell to the Bulldogs in two matches, 24-26, and 20-25. New Madrid County Central's Alivia Hartman attempts to send the volleyball past Portageville's Haylie Hammack during their match on Tuesday, Sept. 25. 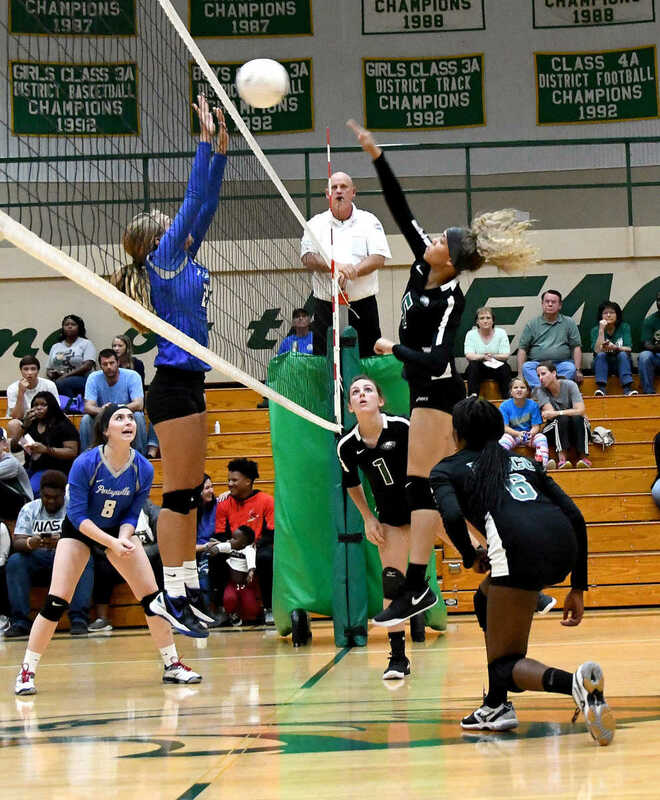 The Eagles fell to the Bulldogs in two matches, 24-26, and 20-25. New Madrid County Central Eagle Abby Sindle goes up to block the ball sent over the net by Portageville Bulldog Zarria Taylor. 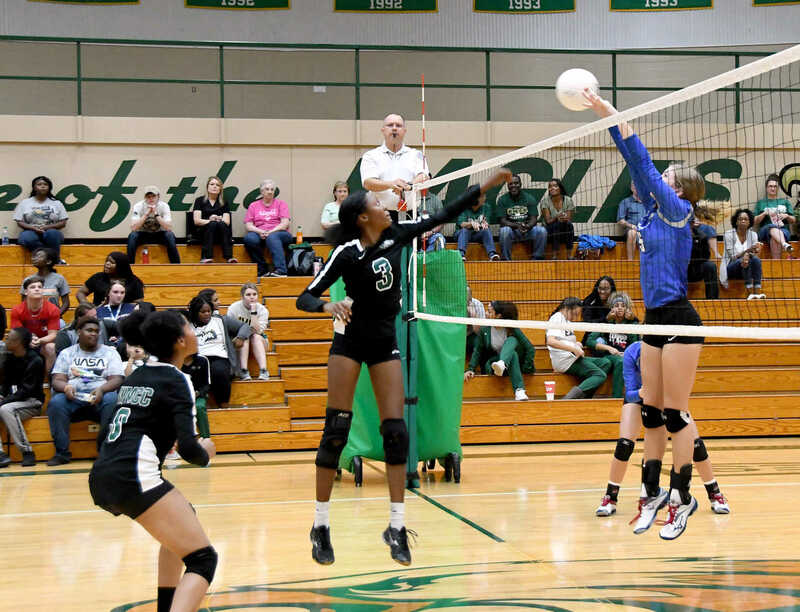 The Eagles fell to the Bulldogs in two matches, 24-26, and 20-25, on Tuesday, Sept. 25. 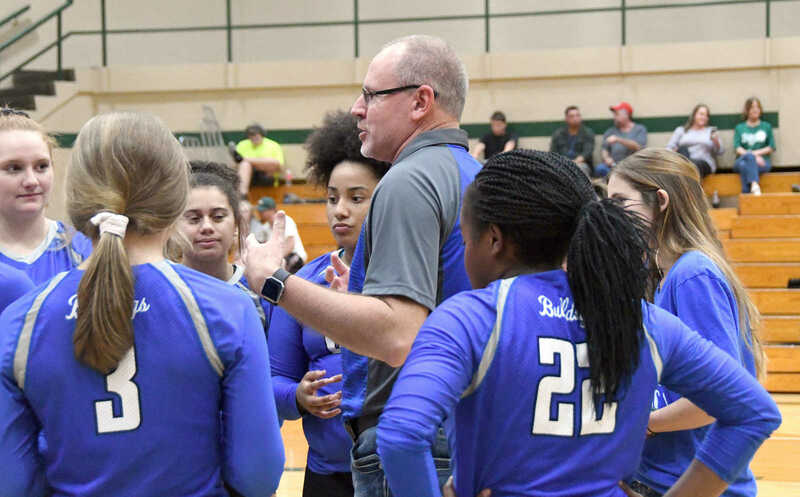 The Portageville Bulldogs discuss strategy during a time out at their match with the New Madrid County Central High School Eagles. 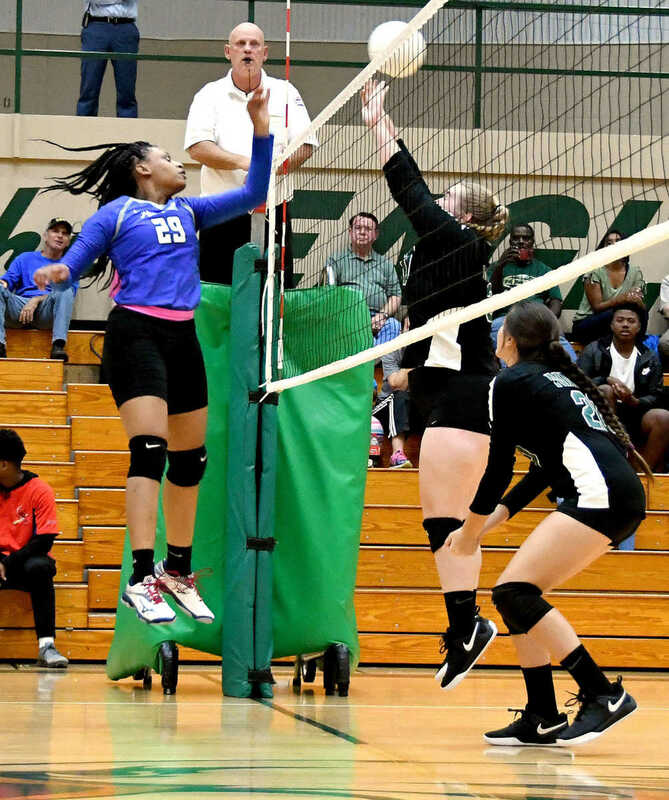 The the Bulldogs fought off the Eagles to win in two matches, 24-26, and 20-25.